With millions of people searching for local products and services daily, it’s crucial that they discover your business online at the right time and place. If you are nowhere to be found on the internet, now is the time to do so. 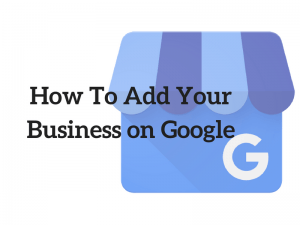 In this article, I will be showing you how to add your business on Google in just a few simple steps. Google My Business (GMB) is a free platform for local business owners to list their company on the search engine and provide relevant information for customers who are searching for them. GMB supports a variety of businesses ranging from small cafes to professional organizations. Within the listing, users can locate the address, direction, company’s website and most importantly, read reviews from previous customers. Here’s what an optimized listing, looks like on Google. On the other hand, when people search for an unregistered business, the listing may still show up, but will lack most of the important information as seen below. You may wonder why this is the case and that’s probably because the listing is generated based on the search frequencies performed by users in the past. They are actually not managed by anyone and as of January 2018, it’s estimated that 70% of them are made up of such listings. That means, the GMB feature is still very much underutilized by a lot of local businesses. The good news however is that, Google makes the process fairly easy to set up so let’s see what is the first step involved. For those who have been operating for a while, there is a good chance that the listing is already there. Enter the name of the business on Google search and see if it shows up on the result page, like the example above. The name and specific location of the business. Indicate if goods and service deliveries are involved and if so, what is the distance and area covered. Specify the category that is most relevant to your business. Provide a phone number and a business website if they are available. Verify the business through one of the three methods available – phone, email or postcard. 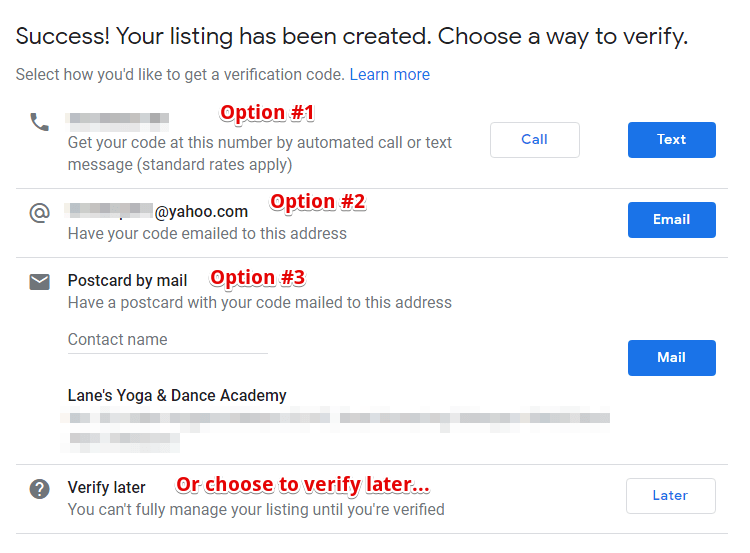 Once the verification is confirmed, you are officially the owner of the listing and will be allowed access to manage the business information from anywhere. These questions will serve as the framework on how we’ll be optimizing the listing to improve search traffic. At this point, only 50% of the listing is considered complete. 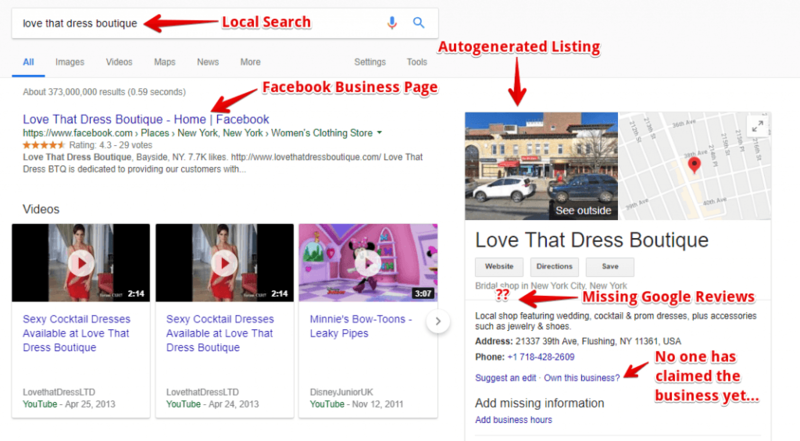 The remaining information must be filled out to enable more visibility for your business on the search results so here are a few things that we can optimize. 1 – Operation hours – One of the reasons people go online to search for local businesses is to find out the best time to visit the premise. So make sure you publish the hours accurately to provide convenience for the customers. 2 – Business description – Within 750 characters, this column is where you explain about the business offers in terms of the history, product/services or anything that’s helpful for the customers to know. However, this space isn’t for promotional purposes or for publishing any web links. Profile – Photo that shows your identity when you posting or replying to a review. Cover – Preferred photo that you want to be shown on the Search and Maps listing. Video – Unique videos that tell the story of your business. Interior – Photos that showcase the interior setups of your business. 4 – Business website – Now is the time to create a business website if you haven’t already done so. While there are benefits from using the free Google website builder that’s already integrated in the GMB account, I would recommend to go with self-hosted WordPress for better optimization. The latter platform is more fine-tuned with the changes of SEO so it will definitely offer more advantages with the current marketing trends. If you like to give WordPress a try, simply create a free business website using the plugin below. 5 – Customer reviews – Technically, this column is fill out by customers, not you. After verification, you can encourage pre-existing customers to post positive reviews about your business on the listing. The better the reviews, the more exposure you’ll get with new people who have yet to experience with your products or services. In addition, you can also reply to reviews to foster better communication and engagement with the online audience. It’s been proven multiple times that with an optimized listing, you could improve the organic search up to ten times. This is possible because Google is frequently picking up keywords related to your business and matching it to local search queries. 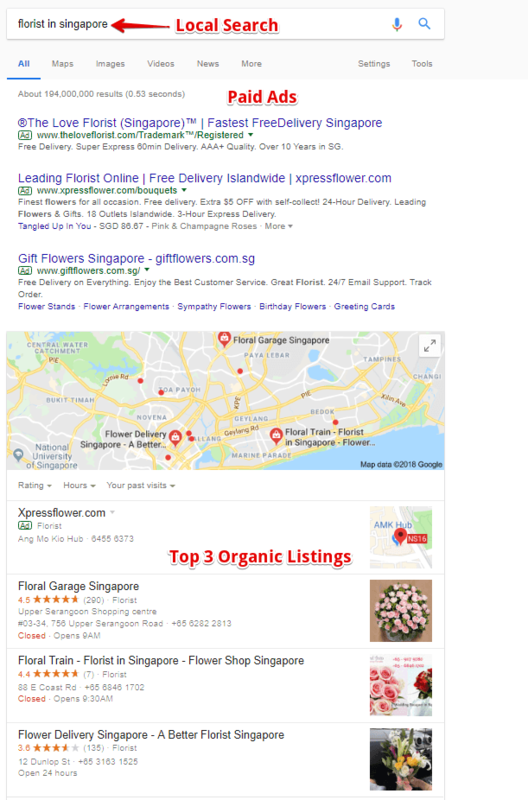 If you managed the listing well, it could be included in the top 3 local pack which sits just beneath the ad campaigns, where the name of the business, ratings and location are clearly visible. Often times, this type of information display is more attractive and will render more clicks online. Of the many free tools that Google provides, this feature has got to be one of the best to benefit local business owners. The setup process is easy to follow and you can manage the listing on the go by using the GMB app for mobile. By learning how to add your business on Google and optimize the listing, ranking for any brand name or local keywords is not impossible. I hope you’ve picked up some golden nuggets from this post. If you wish to take full advantage of what GMB has to offer, check out the following video training by Jay, from my favorite online entrepreneur platform. It’s free to watch for the first 7 days. Do you have more burning questions about growing a successful local business? Leave them in the comment space below and I’ll try my best to answer. Great article. I can personally say that I have seen a lot more interest in my home based business since I got listed on Google. I sell synthetic motor oil and filters, mostly for motorcycle and sports car enthusiasts, via catalog and internet. Even though people don’t come to my home, they like the idea of dealing with somebody local. The one thing that I initally forgot to set up though was my business hours. Being a home based business, i quickly learned that it is a 24 hour world, when I was getting phone calls at 3 am! But getting listed on Google lets your customers know that you are serious, and I definitely recommend it. Oh yes, that’s true – when you are home-based, you can expect phone calls coming in at odd hours. Good idea to set them up from the very beginning. I don’t have a business myself, but my brother has a cleaning company, which is still considered small, and he wants to expand it, through the internet and locally as well. But he’s not good with online marketing and not the best computer minded person. I will show him this post because it will guide in on what needs to be done to make sure his company gets all the online exposure. Thank you for the clear explanation. There’s always room to learn and grow one’s business. Glad this article could be of some help. This is something every business owner should do, but I’m sure a lot of them don’t even know the importance of an online presence. Google gives you all the necessary tools, but of course you as a business owner need to utilize them. Which is not always very easy for non tech people. Your article makes it very easy to implement the steps and I am sure every newbie can learn a thing or two there. Hi Jurgen, the technical aspect isn’t really that difficult. Google is known to create user-friendly interface and anyone who can follow simple instructions should be able to list their businesses within minutes. Google Search has become an important tool nowadays. No one can live without it. It’s already a crucial part for all of us. I agree that a business which has a physical location should have GMB. If not, they will lose so many chances from millions of people that search for particular keywords according to their niches. Very informative and a huge help to me at the right time. I am currently making a website for a friend’s local message therapy business. I was trying to figure out how to make the web searches more localized. You just gave me the answer. Will definitely be implementing Google My Business.